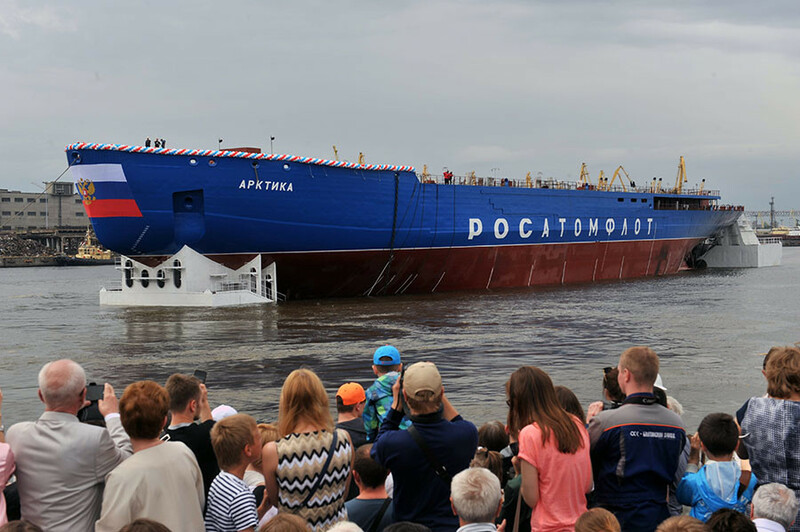 Nuclear icebreaker Arktika has been floated out in Russia’s St. Petersburg. The vessel is expected to become the world’s largest in its class when finished. Arktika is the lead ship of the Project 22220 series scheduled to replace nuclear ships of the previous generation. They are going to be not just bigger, but more powerful. Thanks to variable draft, these ships will be capable of sailing open seas and operate in shallow waters of Arctic rivers’ debouchments. Started in November 2013, the project’s estimated worth is 122 billion rubles (about $2 billion). All three ships of the series will be commissioned by Rosatomflot, an integral part of Russia’s Rosatom nuclear energy monopoly. The nuclear-powered giant will be capable of breaking ice fields up to 3 meters thick, making way for LNG carriers delivering Russian gas to Asian customers. The ship was floated off without the deck housing, because the vessel’s “heart,” the double nuclear reactor delivering 60 MWe of power, could not be mounted inside the hull while the ship was on the stocks. The icebreaker will be complete by December 2017. Arktika’s length is 173.3 meters, its beam is 34 meters, and its draft is variable – 8.55/10.5 meters. Her maximum speed is 22 knots, and maximum draft is 33,540 tons. The ship will have endurance of six full months having 75 crewmembers onboard. 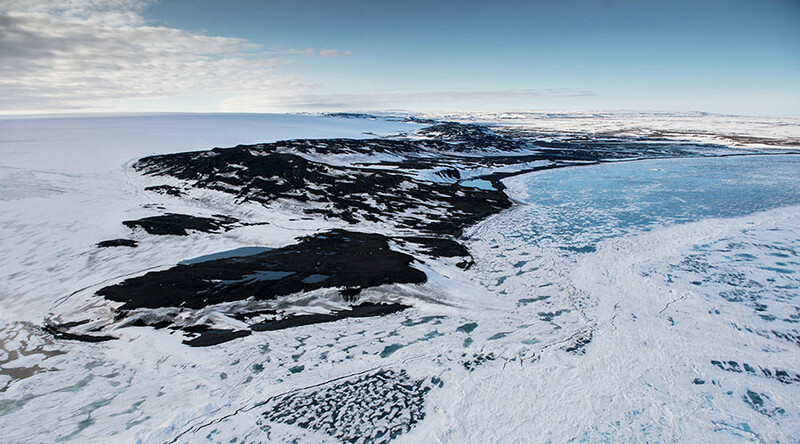 The icebreaker carries a helicopter for ice reconnaissance and communication purposes. The Baltic Shipyard will be building all three icebreakers of the series, including Siberia (laid down May 26, 2015) and Urals (to be laid down this autumn). 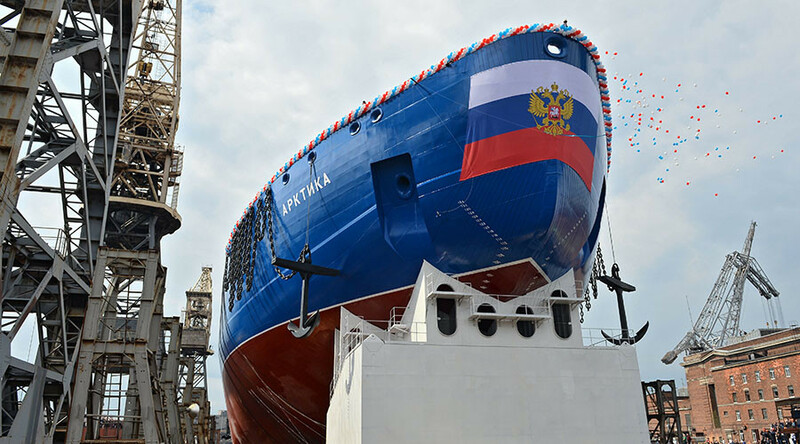 Arktika has become the third icebreaker floated out by Russia’s United Shipbuilding Corporation this (USC) year. On January 3, Arctech Helsinki Shipyard (100 percent USC ownership) rolled out the covered berth diesel-electric icebreaker Polaris (Project Aker ARC 130), commissioned by Finland’s Transport Agency. 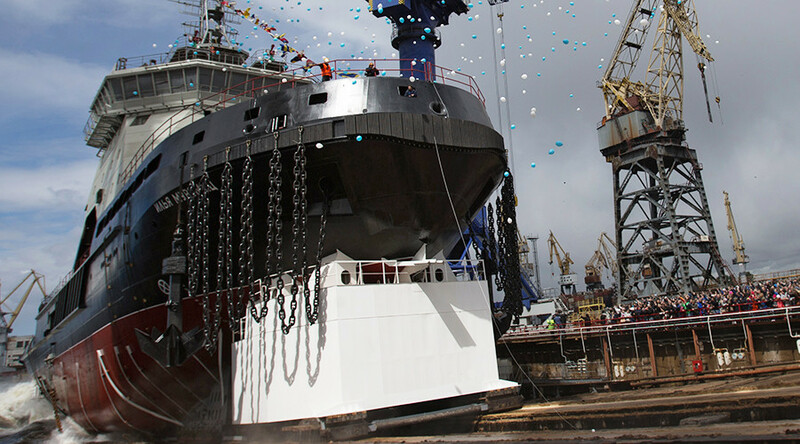 Last Friday, the Admiralty Shipyards in St Petersburg floated out the new generation diesel-electric icebreaker Ilya Muromets (Project 21180), commissioned by Russia’s Defense Ministry.